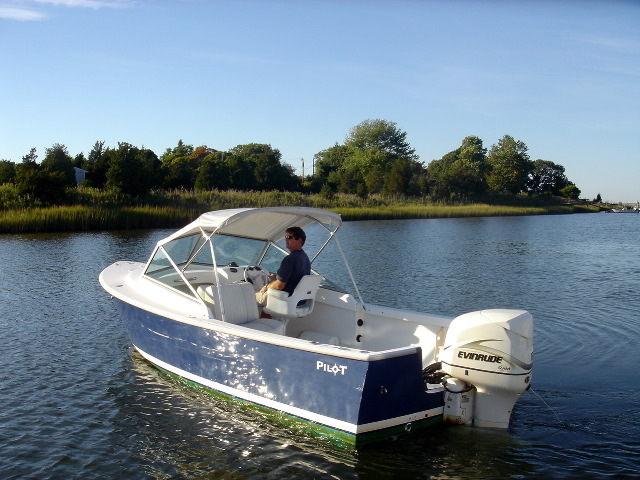 Classic runabout with evinrude 150 horse power. Navy top if shade is desired. Good for cruising the bays and exploring the many points of interest the area provides.